Several common business documents lend themselves to green storytelling. The list provided below explains the benefits of each type of document. For examples of these types of documents and my writing style, please see my samples web page. If you need a business document type not listed, please contact me to discuss in greater detail. · Case Studies/Success Stories - A 3-10 page document telling how your client effectively used your product or service to benefit their company in either reducing operating expenses, maintenance costs and/or increasing revenue. Best use includes customer testimonials interspersed throughout with specific data to emphasize benefits. Basic format includes a problem description, journey by the customer in choosing your solution, solution description and detailed benefits achieved. · Sustainability Analysis - We walk through your current sustainability measurements, such as energy and water usage, heating and air conditioning configuration, waste and recycling process. At the conclusion of the study, the results are documented with recommendations. · Sustainability Strategy - From the Sustainability Analysis, a plan is developed, executed and monitored to reduce operations and maintenance costs though lower energy and resources usage. · Elevator Pitches - a 30 second paragraph designed to explain your product benefits in an engaging manner that leaves no doubt on your services or product. · Executive Summaries - a 1-2 page used to pitch funding requests to investors or provide an outline to upper executives on developing a green strategy. · Business Plans - Used to provide complete information to investors on initial or follow-on funding requests. Can also be used to develop a comprehensive green strategy. · PowerPoint Presentations - Can be associated with the previously described Executive Summaries and Business Plans. 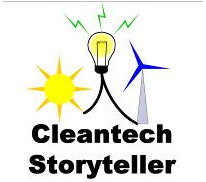 As a Certified Toastmaster, the presentation can also be executed by the Cleantech Storyteller. · Speeches - Can be associated with the previously described Executive Summaries and Business Plans. As a Certified Toastmaster, the speech can also be given by the Cleantech Storyteller. · Grant Proposals - In the current economic environment, some philanthropic organizations are looking to get into the green sphere. These proposals are very similar to the Business Plan document mentioned above. · White Papers - 10-30 page document explains a detailed technical or business process with supporting research and references. · Newsletters and/or Articles - A complete periodic newsletter format can be developed or articles for an existing newsletter can be developed. The key to this medium is keeping constant exposure to customers with information useful to their operations or product line. · Ghost Written Articles for Trade Journals - Provide greater exposure to your subject matter experts without the pain of waiting on them to write the article. · Technical Brochures for trade shows - tri-fold material for your booth visitors to take away explaining your products or services. Also useful as add-in material for mailing packets. · Guidebooks - Can provide either services to coordinate overall the collection and production of a guidebook for your clients or develop the content of the guidebook. · Traditional Marketing Brochures - primarily used in mailing packets. Pricing is dependent on research required, scope and size of the project. I generally charge a fixed price by the project, since number of words is not a practical measure of the effort. Other pricing models are available on a retainer basis or equity. I provide a framework of price in my Statement of Work, after our initial correspondence. I require at least 1/2 upfront, before starting work.